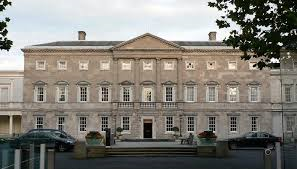 Your Commonage .ie: Lobbying Politicians on the Commonage issue. We have received a number of requests regarding lobbying of TD's on resolving the commonage issue. As a response to this I have collated the e-mail addresses for all of the T.D's in the main commonage counties and listed them below. The contact details for other T.D. 's can be found on the Oireachtas website www.oireachtas.ie. In general they take the form of Christian name initial.surname@oireachtas.ie all in lower case letters with no spaces.